So now follow the below instructions to earn Amazon or Flipkart Gift Vouchers From teachmitra. 2. Enter Your Details And In Refer Code section Enter Code Given Below. 4. Go To Your Email Id And You Must Click On Verification Mail And Verify . 5. 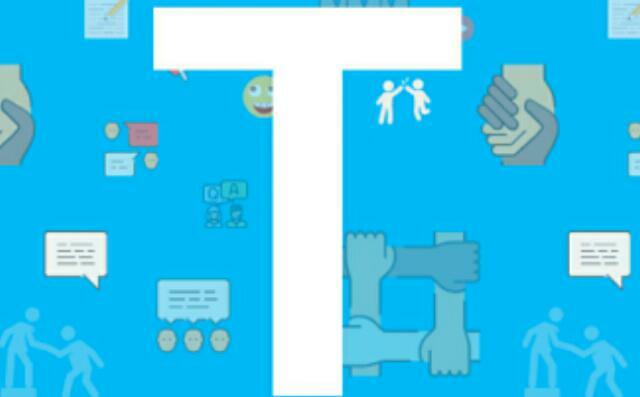 Open Your Dashboard In TeachMitra And Fill Want To Learn And Can Teach In That Field Enter Anything And Click Update . 7. Great!! You Got 100 Points !!! 1. On PC Right Of The Screen You Will See Your Refer Code . 2. If On Mobile Navigate To The Bottom Of Page And There You Will See Your Refer Code . 3.Share It With Your Friends And They Will Get 100 Points On Signup And You Will Get 10 Points When Your Friend Verifies his Email. – You can Redeem Once you reach any milestone send an email to teachmitra@gmail.com. 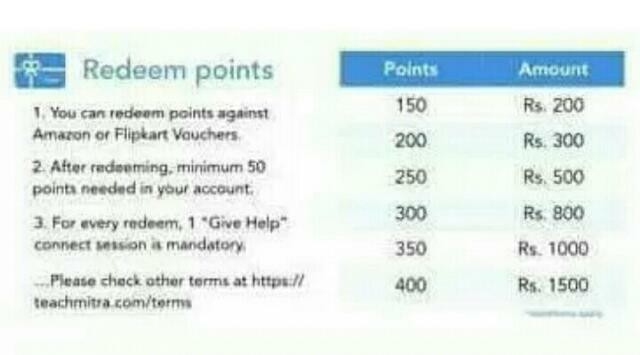 You need to mention your name, email id and amount of points you want to redeem. Within 2 days, you will get your reward.